The photovoltaic market is growing, and the demands on our range of products is growing with it. As usual, we are developing not only our production capacity but also our production methods and we are setting industry standards. Through our innovations and our development, we hope to increase the benefits for customers and achieve mutual successes. That is why we are constantly enhancing our service, so that we not only serve our customers, but also work with them as equal partners to find solutions. Everything for one goal: to establish photovoltaics as a competitive source of energy. Why choose CETC Solar Energy? CETC Solar Energy is a photovoltaic company - we started as a solar production equipment manufacturer, we know the process and speak your language. CETC Solar Energy offers turnkey solutions, starting with the design of the solar cells and modules to be produced, ending with the installation of the production equipment, training, service and support at your factory. 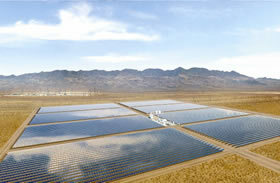 CETC Solar Energy provides leading technology, giving you a competitive edge. Being a valued customer of CETC Solar Energy, you benefit from the reliability of our after sales service team. Furthermore we make sure that you continue to be on top of new developments. You will receive a priority status when it comes to ordering newly developed production equipment.